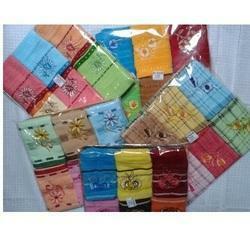 Our organisation is engaged in manufacturing and exporting wide variety of Trendy Handkerchief made up with cotton, microfiber and acrylic yarn We provide all the variety specifically for ladies, gents and children Our range is used for wiping face and hands so we take care that the texture is soft and skin friendly. Our team of experts keep on doing the research work to make attractive designs according to the latest trends. Our range of Handkerchief come in varied styles in packs of 6 and 12 pieces each in vibrant colors and attractive embroidery. We are mainly looking for Inquiries from European Countries like Russia, Germany, France , UK , Italy , Spain etc. 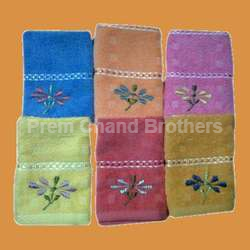 Our organization is reputed in the field of manufacturing and offering a qualitative range of Printed Cotton Handkerchief. This can be used by both gents and ladies for specifically cleaning applications. 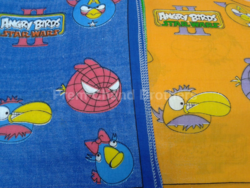 Our range is fabricated from pure quality of cotton materials and are absorbent. We offer in various colors and attractive designs that suit the taste and utility of clients. This is highly regarded for skin-comfort and durability. 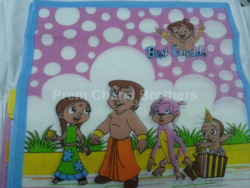 High class printing on the best quality cotton hankies made with high precision is our speciality. With more than 100 designs available it is a evergreen product which is always in demand. More than 30 designs made. 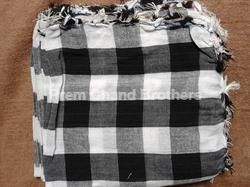 We make hand woven checks hankies. These are a latest trend. Yarn is 100% cotton and the fringe work is done by our specialized artisans. The size is 18x18 inches. These are fast colors and very comfortable to hands and skin. Since its 100% cotton they are highly sweet absorbing.